Nadia Matar and Yehudit Katzover, of Women in Green set up a protest vigil, thirty-three 33 hours, one for each of the recent victims of Arab terror. 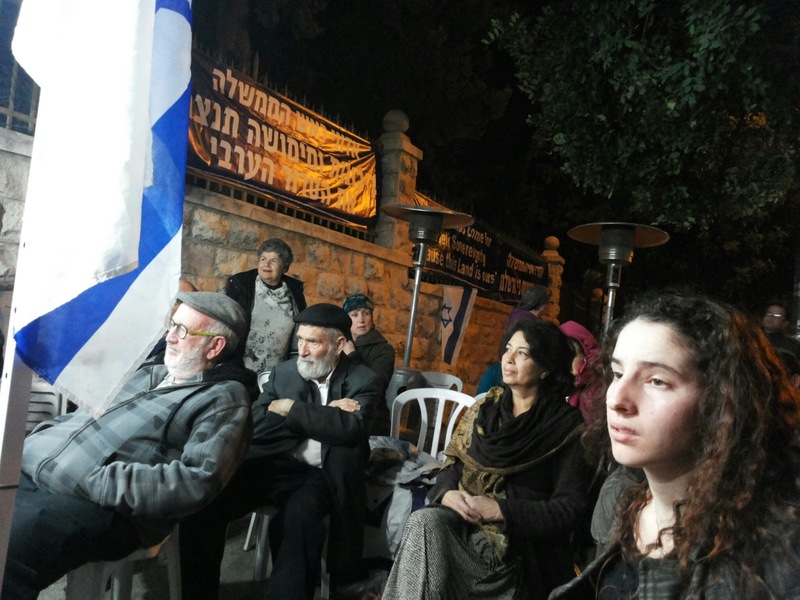 Women in Green co-director Nadia Matar told Arutz Sheva that the primary purpose of the vigil was to shake the Israeli public awake and prevent people from simply "getting used to" daily anti-Semitic attacks in the Jewish homeland. Gd willing there will be no reason to extend the vigil. May there be no more innocent Jewish victims of Arab terror!! It has been awhile since I've made it to one of their protests, but I was greeted with warm hugs and a request to speak. 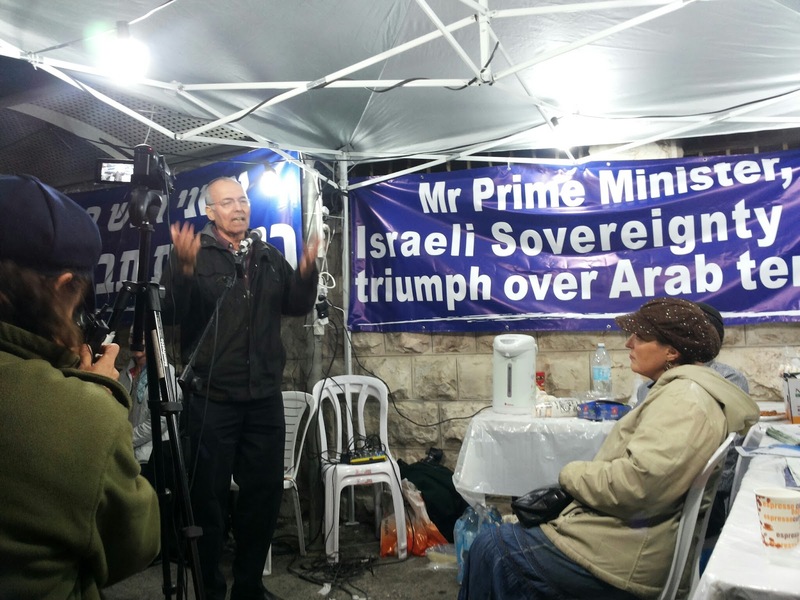 Matar and Katzover planned this protest as a "Hyde Park" style protest vigil offering various people the opportunity to voice their opinions. And since they both think of me as "Batya Shiloh," because of Women's Rosh Chodesh Prayers, and the obvious fact that I live in Shiloh, I did mention in the few minutes I spoke, in both Hebrew and English, that next Rosh Chodesh Prayers will be Friday, the first of Adar Bet, March 11, Gd willing. I felt very privileged to be included among the much more important speakers who gave extremely informative and fascinating speeches, professors, an architect and the new young Director of Moetzet YESHA Shiloh Adler, among others. I've always found it inexplicable that the State of Israel reacted so negatively to the miraculous victory in June, 1967. Instead of immediately declaring sovereignty and encouraging Jewish settlement over all of the Land we miraculously liberated from illegal Arab occupation, the Leftist Labor rulers treated our precious Land as if it was leprous. And we are still paying the painful deadly price for their mistakes! Here are some photos from the vigil.